Welcome back to Day 2 of 12 Crafts of Christmas! 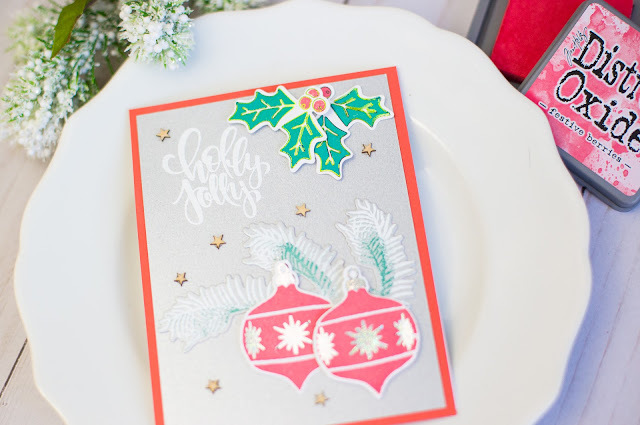 If you missed the first fun day of stocking stuffer ideas, just scroll down! 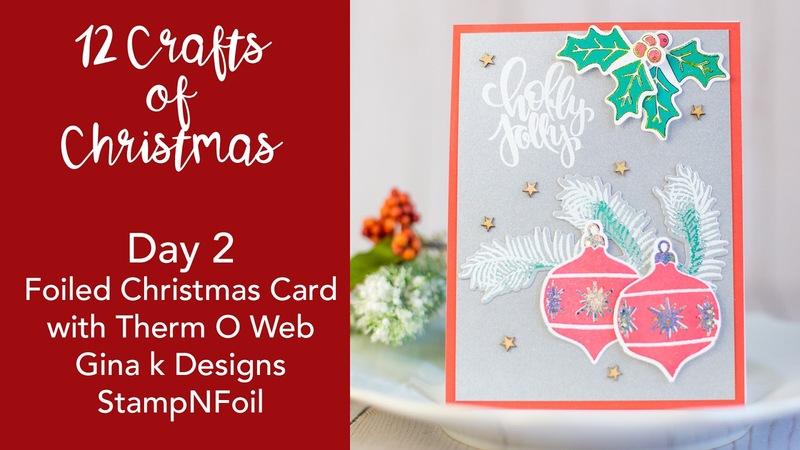 For Day 2 I am sharing a Christmas card that I made with the Therm O Web Gina K Designs StampNFoil Holly Jolly Collection. 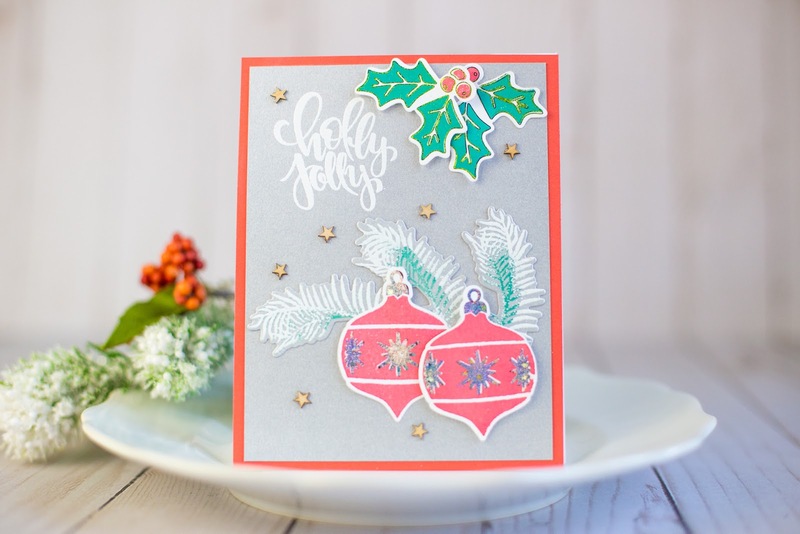 With the StampNFoil lines, you can stamp, foil and die cut images to use on cards, scrapbook layout and more! The foiling adds such a fun, shiny touch perfect for holiday cards! So easy, right?! Check out all the products I used to create this card down below! See you tomorrow for Day 3!